The simplest style of conservatory is often known as a sunroom or sun-lounge. That’s because these rooms were originally constructed to make the most of a southern aspect. A simple sunroom trapped the sun’s warmth and contributed to insulating the rest of the building. Today, sunrooms are an easy, practical and cost-effective way to have more living space. 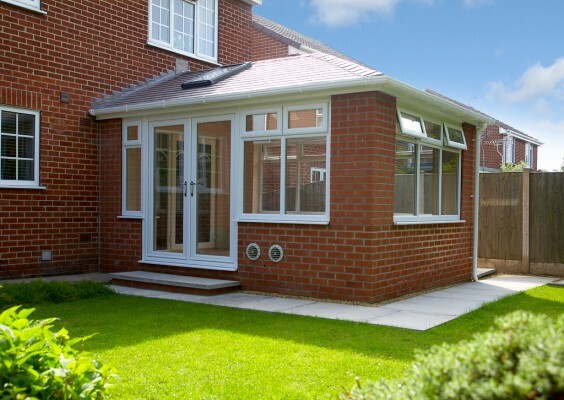 Sunrooms are built with a pitched roof which is perfect for bungalows or properties with a restricted eaves height and the pitch of the roof can be varied to suit. They have a square or rectangular footprint for maximum usable space and can be used for any purpose – a quiet room for children’s homework, a place to nurture tender plants or just somewhere to relax at the end of a busy day. Our sunrooms are constructed using reliable, easy-to-maintain materials. They can feature dwarf walls, underfloor heating, triple glazing – in fact, there’s an enormous range of choices from colours and roof pitches, to glass and door styles. Unlike timber lean-tos they will never need painting or varnishing and will look great for years and years, adding value to your home.